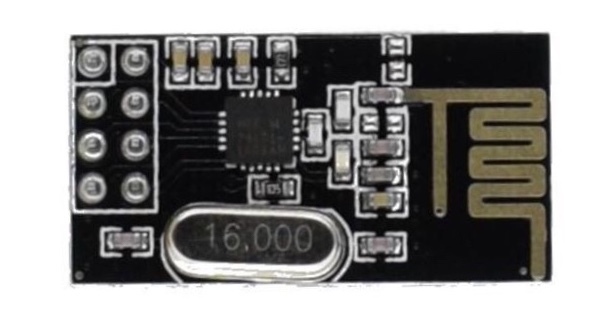 If you have many toy quads or if you are into Silverware, you probably know about or even use the IRX6 or MTX9D multiprotocol modules. These modules allow you to bind to and control many toy quads. And they’re quite cheap. But they have a major limitation: poor range. So we will build a better but still-affordable NRF24 multiprotocol module. 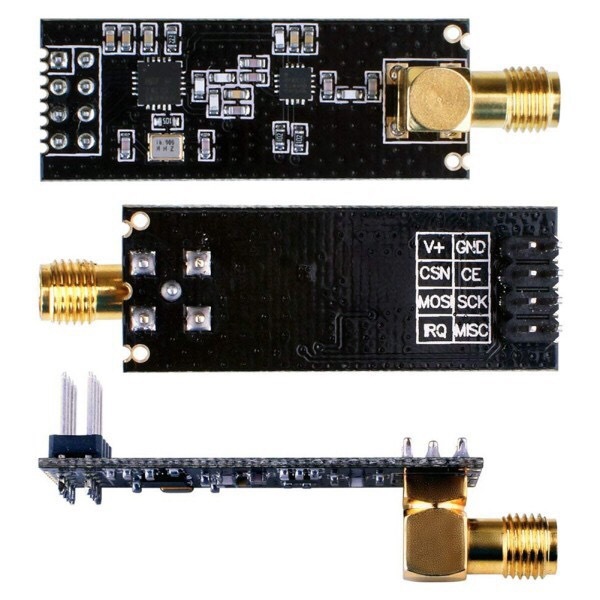 You will need an Arduino Nano to control the RF module. But the most important component is the excellent NRF24 multiprotocol firmware for the Arduino by Goebish. This project wouldn’t have been possible without his firmware and his help and guidance. Thanks, Goebish! Finally, the PPM signal voltage output from some transmitters may be too high for the Arduino Nano, so to be safe you need a 10k ohm resistor in-line with the PPM signal wire. This give you input voltage protection up to +15.5VDC and down to -10.5VDC. More info here. Wire according to the diagram below. Upload the NRF24 multiprotocol firmware to the Arduino Nano. Connect the power, ground, and PPM lines to your TX. While holding the appropriate stick pattern, power up your TX. Last used protocol is automatically selected if stick is in neutral position so there’s usually no need to do this every time. That’s it. 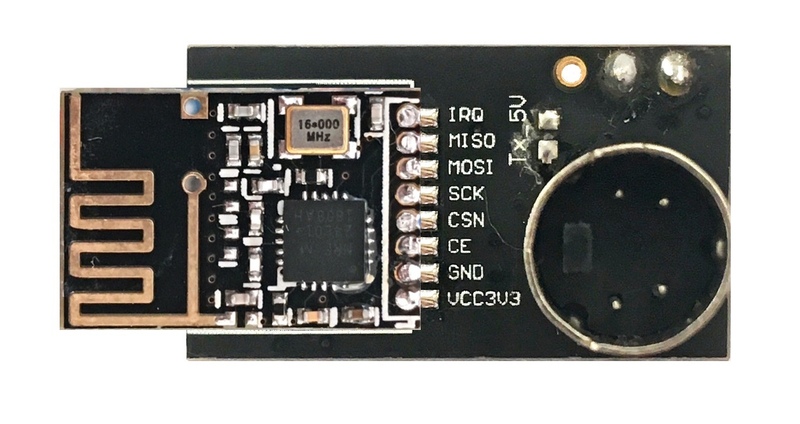 You now have a budget multiprotocol module with longer range. I’ve already written a few guides on building whoops (here, here, and here) so this is more a companion article to my YouTube video on the same subject. The other objective is to build a lightweight whoop. Makerfire Armor 65 Lite outdoor flight. There was a light breeze coming from Taal but it handled pretty well. The Armor 65 Lite is a ready-to-fly FPV racing nano quadcopter that’s great for kids and adults alike, for the beginner to intermediate and even all the way to the advanced pilot. It comes already pre-flashed with Silverware acro firmware, equipped with a 800TVL camera, tough Armor 65 frame, and powerful 17600KV 7x16mm motors. No need to upgrade anytime soon. The all new Armor 65 Lite is a ready-to-fly FPV racing nano quadcopter that’s great for kids and adults alike, for the beginner to intermediate and even all the way to the advanced pilot. It comes already equipped with a 800TVL camera, tough Armor 65 frame, and powerful 17600KV 7x16mm motors. No need to upgrade anytime soon. Best of all, it comes pre-flashed with Silverware. 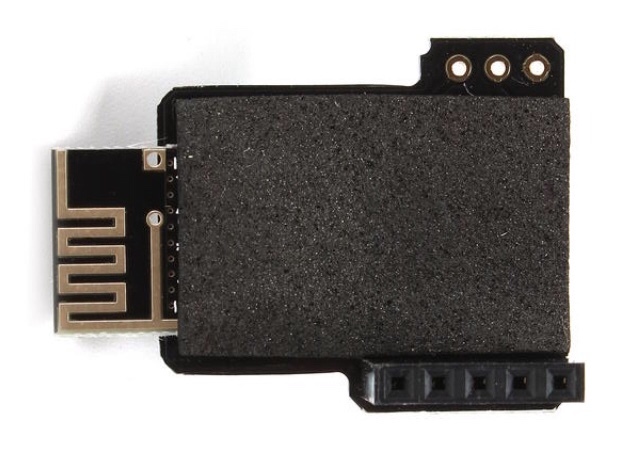 Silverware is an open-source flight controller firmware developed by SilverXXX for F0 FCs. It was forked and further refined by NotFastEnuf. It utilizes the high-speed BayangToys protocol. A transmitter is already included but you can choose to use multiprotocol transmitters or modules such as the Jumper T8/12, Devo 7e/10 with DeviationTX, and iRangeX IRX4/6, and MTX-9D. This is not your average toy quadcopter converted to a whoop. This is a purposely designed and built whoop. And its purpose is FUN! The Ultrapower UP-S6AC is the bigger brother to my favorite charger, the Ultrapower UP-S6AC. It is bigger than the UP-S6 because the AC adapter is built in. You just plug in straight to the power 100-240V outlet. But you still retain the capability to charge with a 2-4S LiPo (7-17V). It has 6 ports capable of Micro Losi, Molex PIcoblade/MCX, JST-PH/MCPX, and JST-RCY. You use the “Select” button to select the setting you want to change and the “Setting” buttons to select the value for the setting. Then you press and hold the “Select” button to save the settings. Comparing the UP-S6AC and the UP-S6, you can see that there’s a substantial difference in size as well as weight. So it would seem that the UP-S6AC is primarily for home use and then you can use it occasionally on the field. The UP-S6 is primarily for the field and but you can charge occasionally at home.